I started sewing as a kid and have always loved trips to the fabric store, thrifting for secondhand goods and the art of all things handmade. Not happy with the "one-size-fits-all" hats I found in stores, I took matters into my own hands and started making hats for myself and friends. 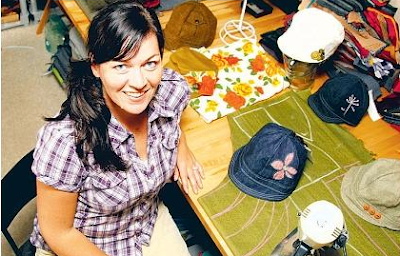 Eight years later, after a cross-country move from Alberta to Nova Scotia, I am still sewing full time and loving it! I sell at a weekly farmers' markets, online and at craft shows across Canada. This year will see the return of my bag collection and a new line of Sugar Soul clothing.